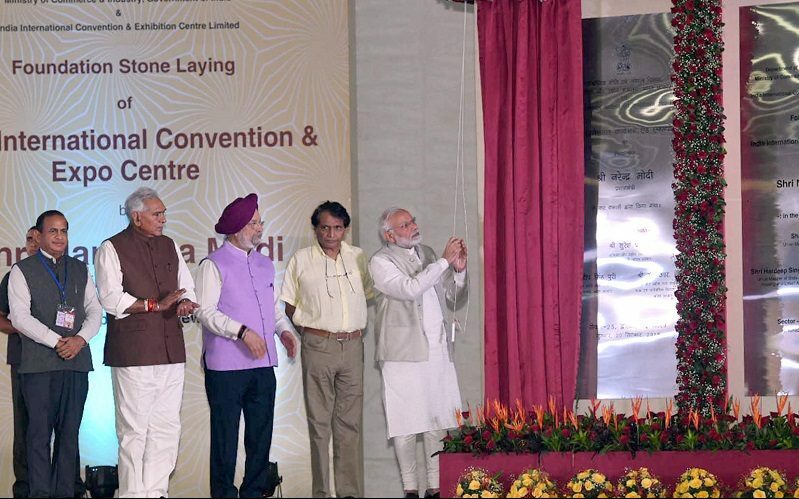 On 20th September, 2018, The Prime Minister, Shri Narendra Modi, laid the foundation stone for India International Convention and Expo Centre (IICC) at Dwarka, New Delhi. 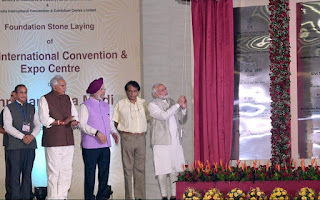 Prime Minister said that this Centre would reflect India’s economic progress, rich cultural heritage, and our consciousness towards environment protection. He also said it is a part of the Government’s vision which gives importance to world class infrastructure, and ease of doing business. Prime Minister Narendra Modi has said that in the last 50 months the NDA Government at the Centre has established an honest and transparent Governance system in the country. Mr Narendra Modi said, in the last four years all-round development was possible in the country with the same resources as the interests of the country were kept paramount and the resources were turned towards the right direction. He said, the last 50 months, are the witness that the present Government did not hesitate to take tough decisions in the national interest.